It’s National Volunteer Week! In honor of the team that works tirelessly to support community and volunteer initiatives throughout UGI, we’re profiling members of our Community Relations team. 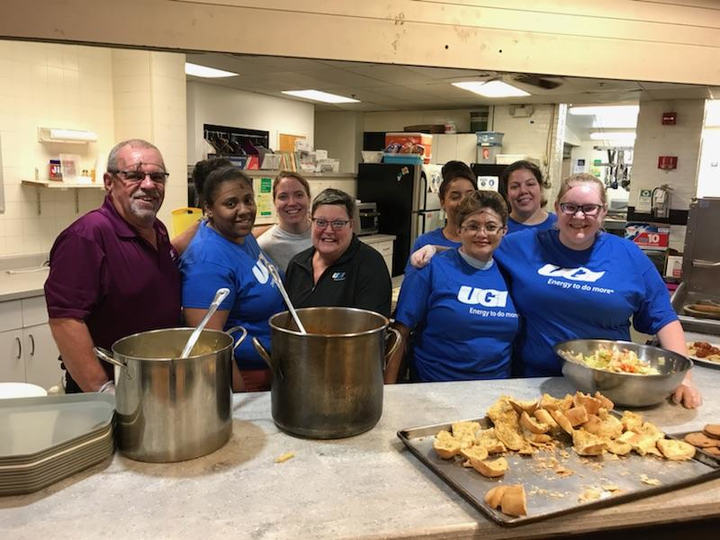 First up, Lori Hoffman, UGI’s Community Relations Coordinator, shares why volunteering is so important to her and what’s she’s looking forward to in 2019. Tell us about your role as Community Relations Coordinator at UGI. My role is to assist UGI’s Community Relations Managers, who are out and about in their respective regions to support UGI’s community program. 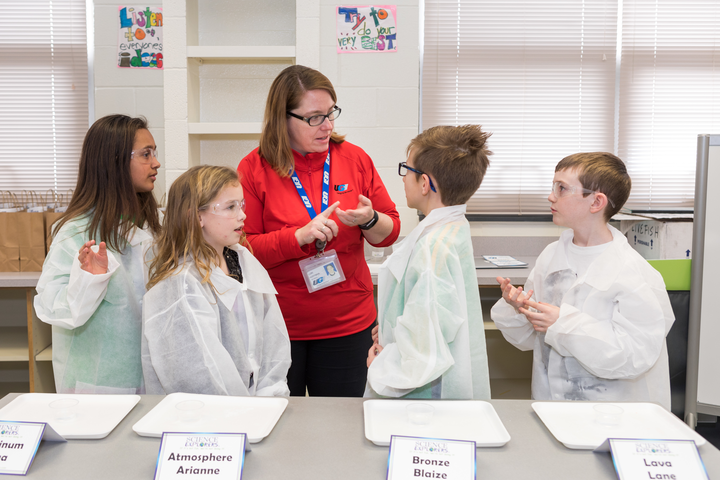 These responsibilities include coordinating various annual UGI activities such as Volunteer Week celebrations, United Way campaign, Reading Is Fundamental book distributions, and Company donations to various community organizations. In addition, I help to support employee volunteerism by leading the volunteer committee for our Utilities headquarters office, which provides volunteer opportunities for our community. Lastly, I work closely with UGI’s Communications team to share our company-wide community efforts to employees, customers, and our communities. I’m proud to work for a company that supports employees’ involvement in the community! My favorite events are ones where employees volunteer together. Not only are we serving the community, we are also getting to know fellow employees! My favorite event from 2018 was volunteering along with fellow UGI employees as a Baseballtown Dream League Angel. The Reading Fightin Phils Baseballtown Dream League gives everyone, regardless of physical and mental ability, the chance to play baseball. As a Dream League Angel, we assisted one-on-one with the athletes and guided them throughout the game. It was such a rewarding experience for all of the volunteers (myself included) and is one volunteers are already looking forward to do again this year! Some examples of other favorite events are serving dinner at the Opportunity House, participating in United Way Days of Caring, assisting students at RIF and SPARKS events, delivering Meals on Wheels, hosting the Olivet Boys and Girls Club holiday party and Big Brothers Big Sisters COUL nights. To me, there is no greater gift than to give. Outside of work, you can usually find me at various activities in the community. I serve on committees to help plan events such as the annual Cups of Compassion food and clothing distribution event in Downtown Reading, American Red Cross “Sound the Alarm” smoke alarm installations, the Reading Rising event which celebrates the city’s inspiring people, and West Reading Recreation Commission year-round activities for children and families. I am also a volunteer at various events hosted by the United Way of Berks County Emerging Leaders United. Do you belong to any boards or committees? Can you explain your involvement and how it impacts our communities? I am a relatively new board member for the Big Vision Foundation, whose mission is to develop today’s youth into tomorrow’s leaders through sports and community service and drive the local economy. The Cups of Compassion event I’ve worked with for many years is now a project under the umbrella of the Big Vision Foundation. Because of my involvement in the Cups of Compassion event as well as having an interest in seeing our youth to become tomorrow’s leaders, it was a natural fit for me to join this board. With the many activities in which I serve in Berks County, I am blessed to have met so many inspiring people along the way who give so much of themselves to help our community. Just as there are many people in Berks County, there are people across the United States who are also doing great things in their own communities. How do you pick just one? With the Utilities headquarters move to Denver, I look forward to learning about the area’s nonprofit organizations and how UGI employees can help the local community. Follow UGI on Instagram, Facebook, and Twitter to see more of Lori as she’s out making a difference in our communities.